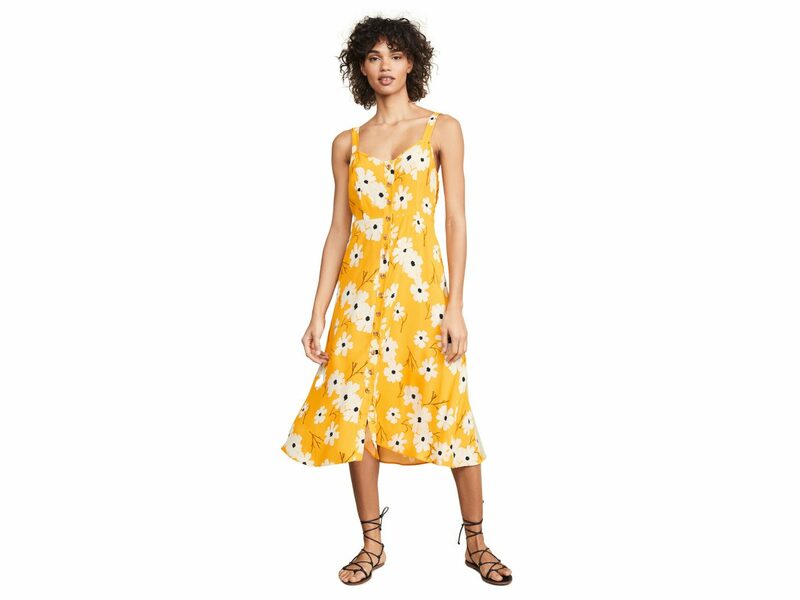 Yellow is shaping up to be one of the hottest colors for spring, and we're all for it on this breezy midi dress. 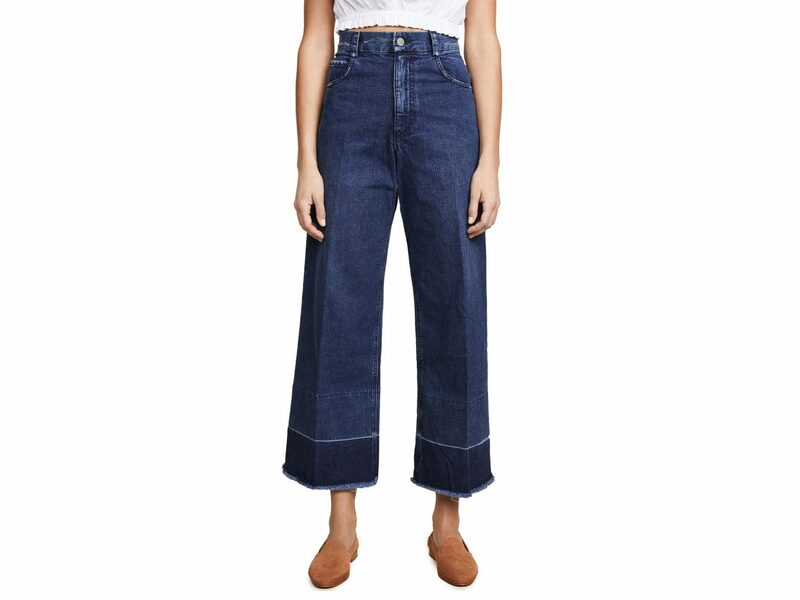 Undone cuffs add a relaxed touch to these classic wide-leg jeans from Rachel Comey. 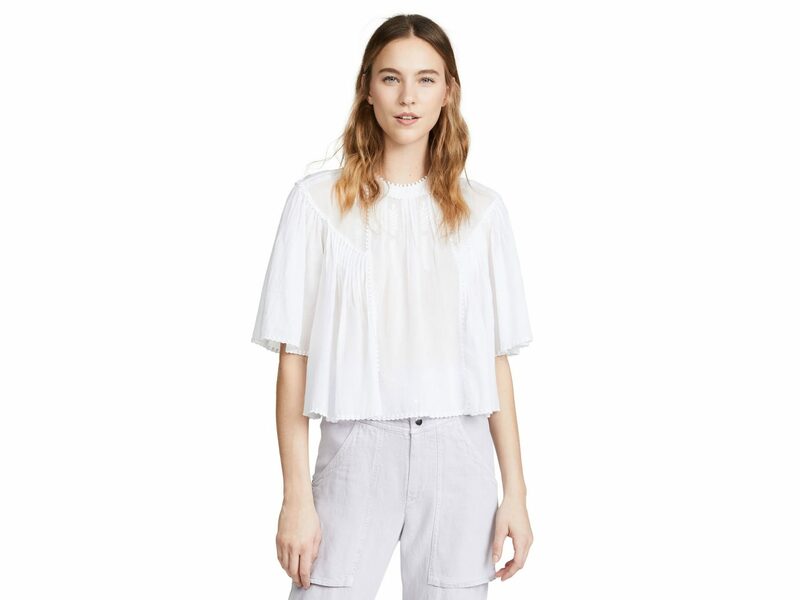 Pair this angelic white blouse with distressed denim for a casual-chic juxtaposition. If you're over the hoop earring trend, go back to the basics. 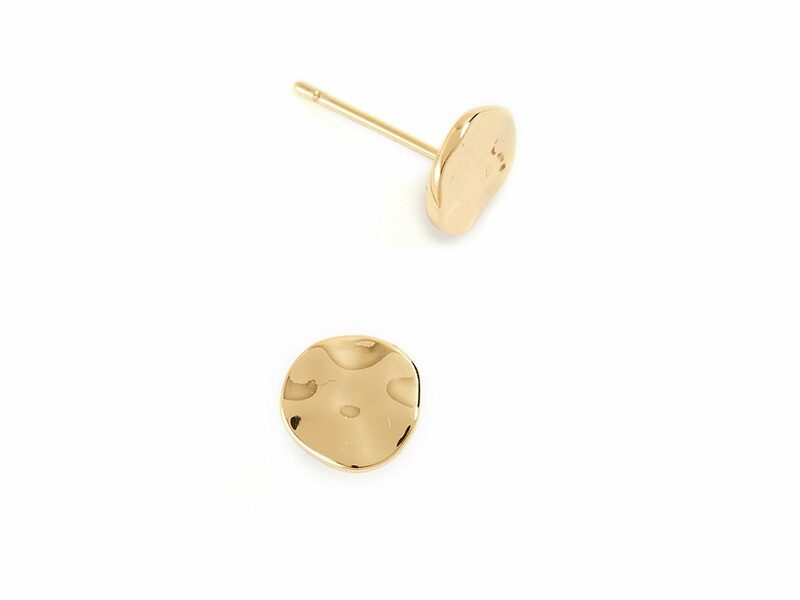 These simple gold studs add elegance to any look. 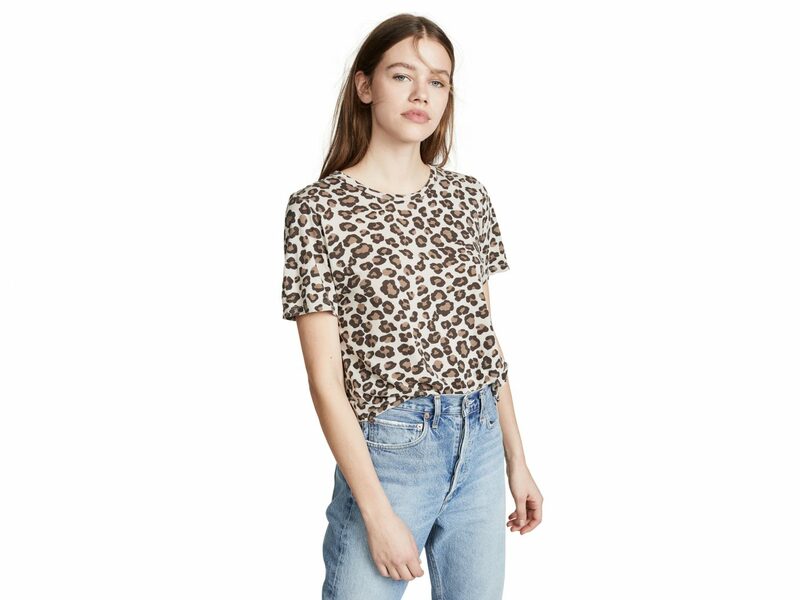 Channel your inner Cheetah Girl with this trendy tee from design-forward basics brand MONROW. 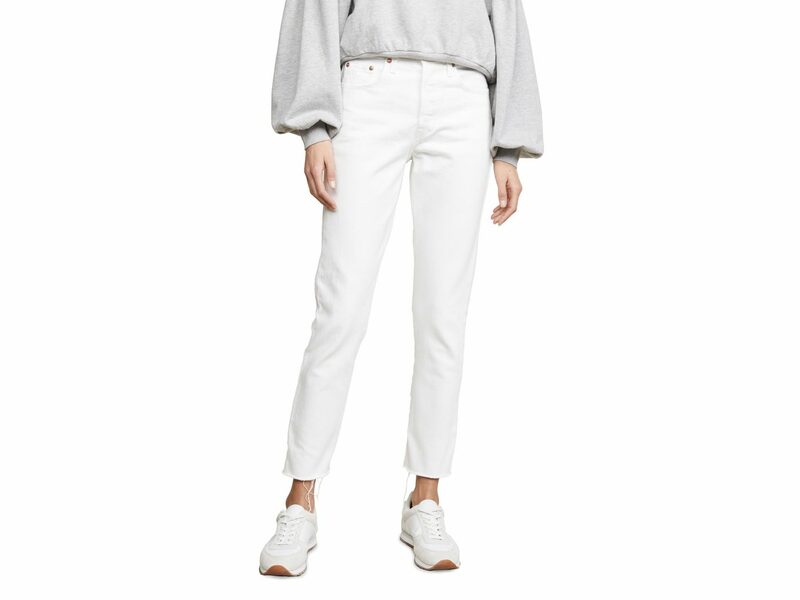 Get ready for white denim season with these raw-hem Levi's skinnies. The ankle-grazing length is by far the coolest style these days. 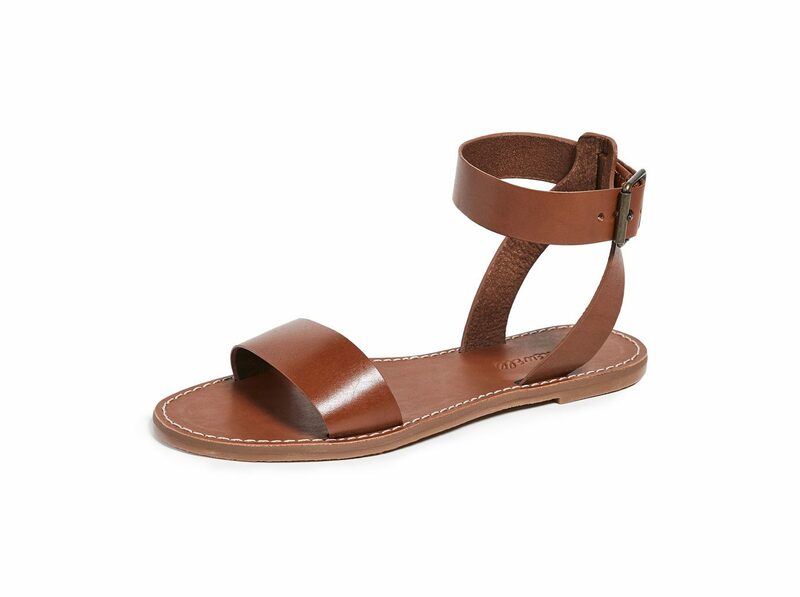 We could wear these Madewell sandals all season long and still never get sick of them. They're comfy, they're cute, they're versatile—what's not to love? 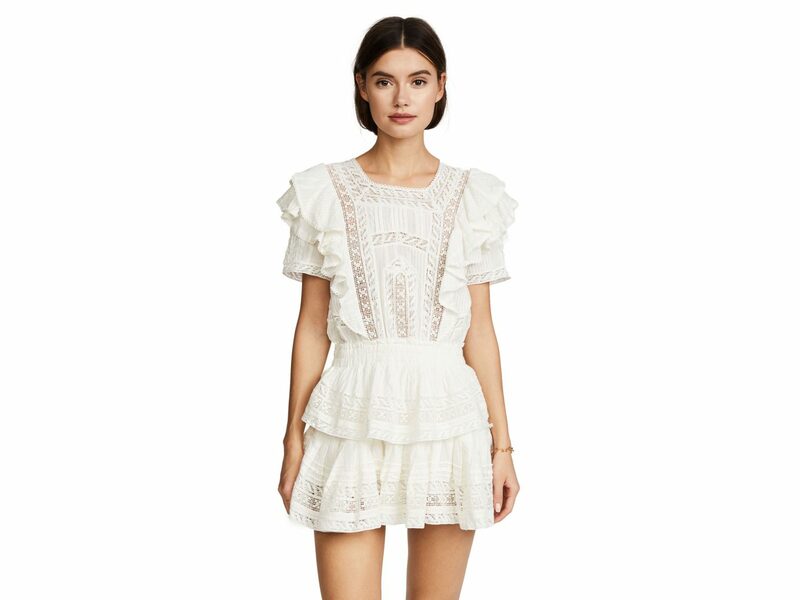 Half of our spring shopping energy is devoted to finding the perfect LWD for the beach, and we think this one is it. It's perfect for going straight from the sand to a breezy oceanside dinner. 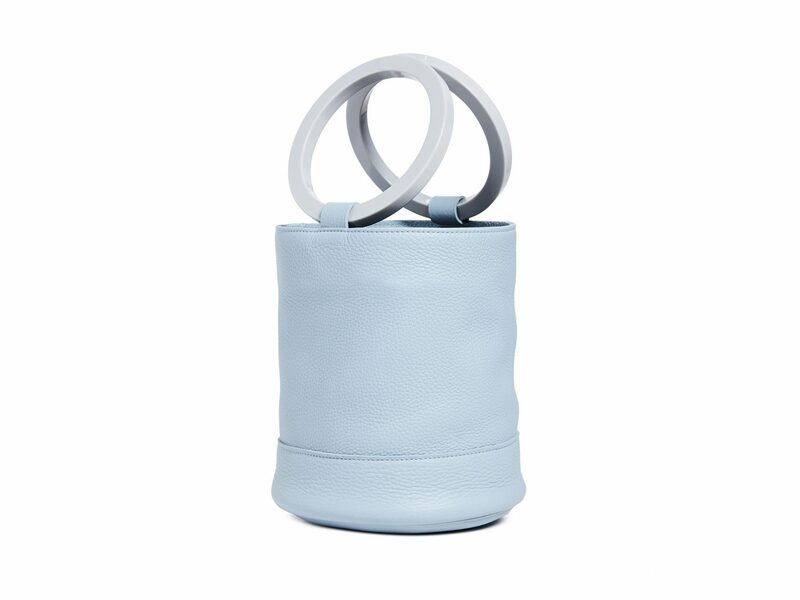 Tote all your essentials around in this chic baby blue bag from Simon Miller. P.S.—it also comes in splashy Kelly green, refined rust, and classic black shades. Year after year, it seems Solid & Striped can do no wrong. This season's striped Stella one-piece is an absolute must-have for a dip in the pool. 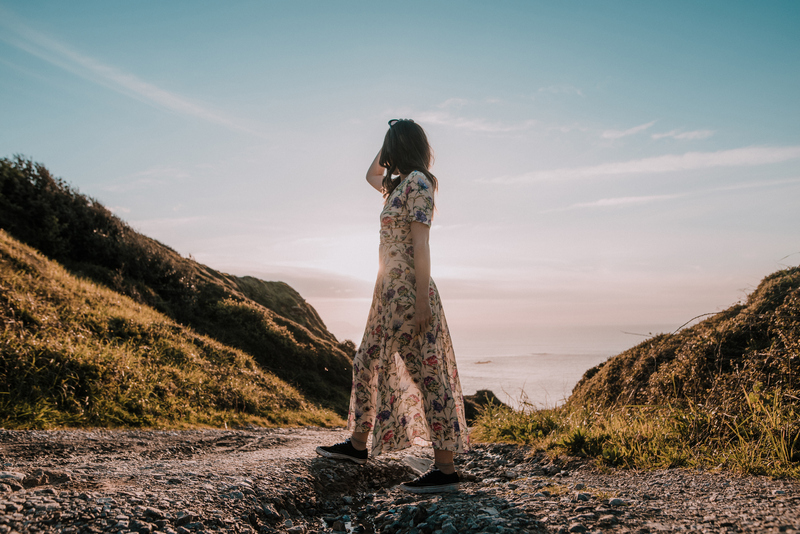 Looking to add some quirkiness to your spring wardrobe? 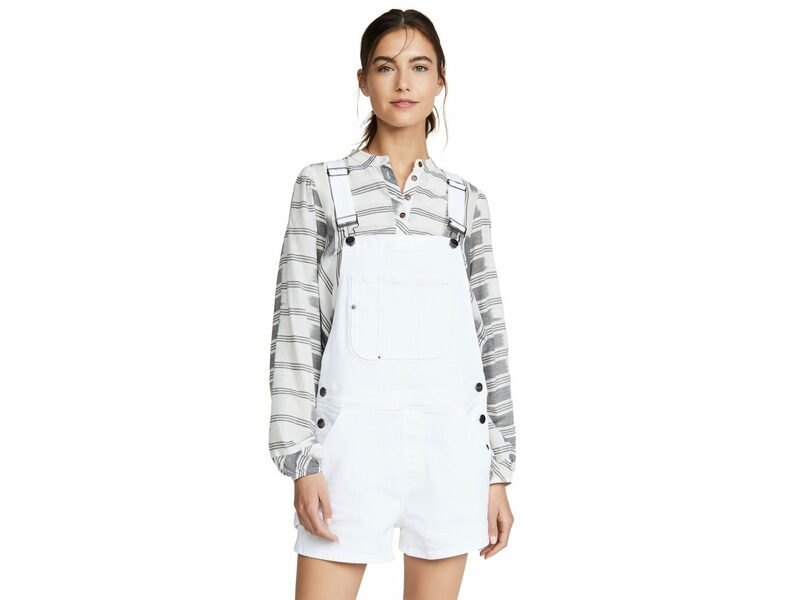 These overall shorts are the answer. 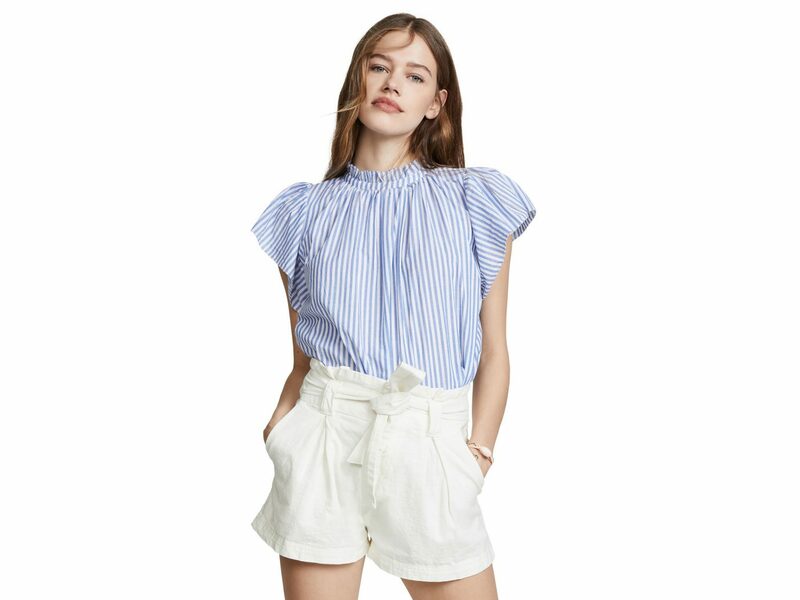 We found it—the perfect work blouse that looks just as cute when you leave the office. 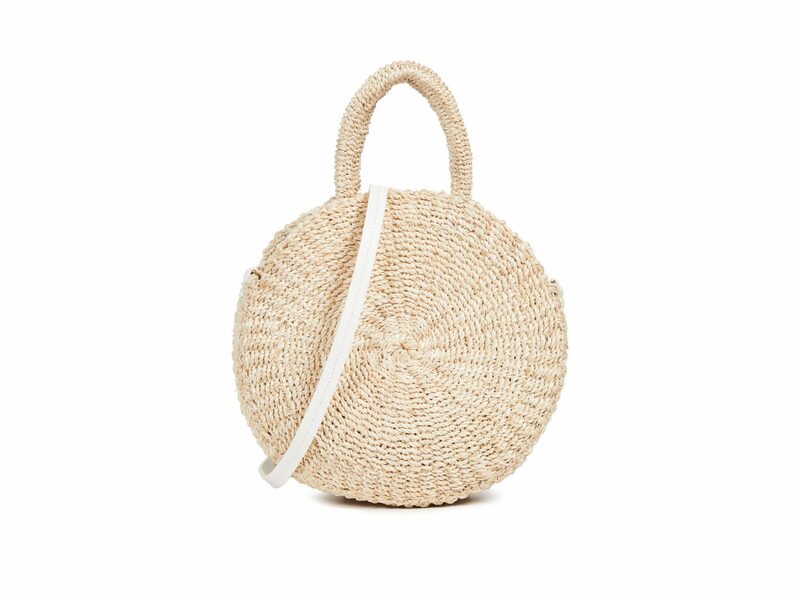 Get a head start on summer with this beachy straw tote. It comes with a cross-body strap for added convenience. 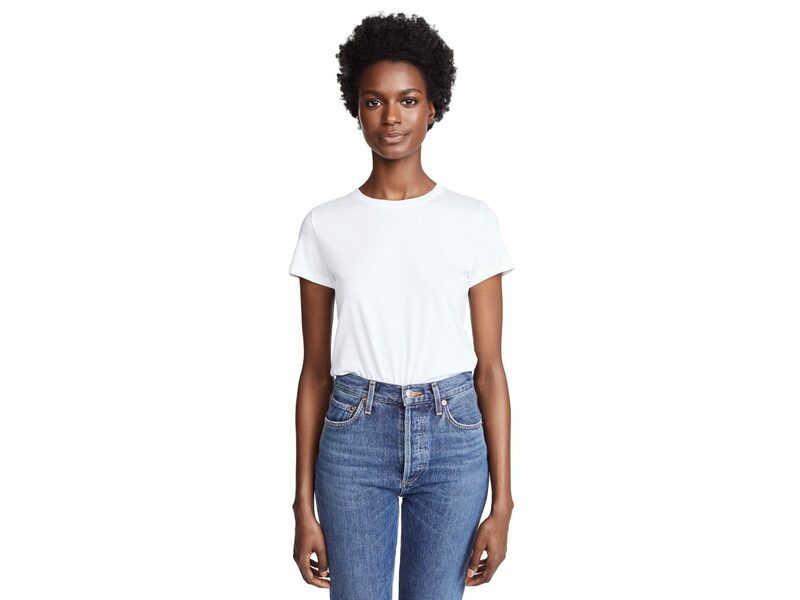 The search for a white tee can be exhausting—they're always too baggy or too tight, too sheer or too heavy. This one finds the perfect balance. 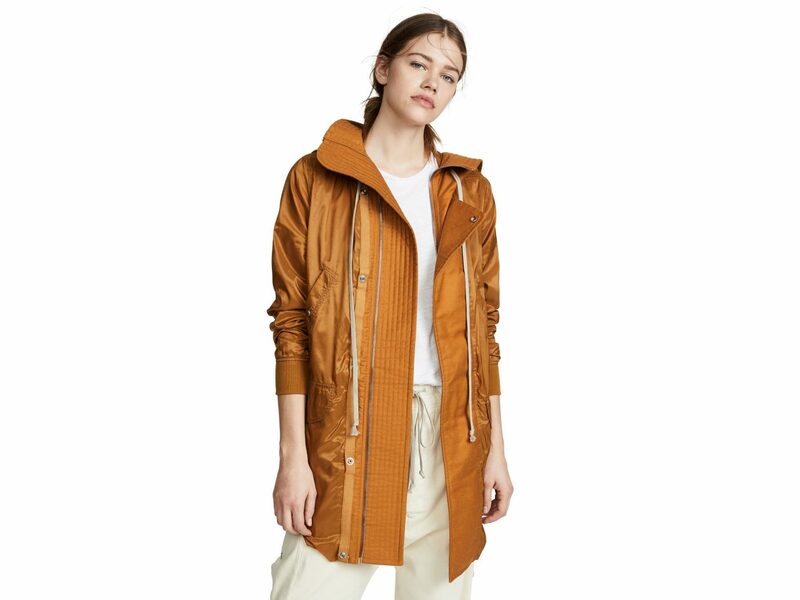 For rainy spring days, don this parka from Rick Owens. The topaz color will stand out in a sea of the usual black, green, and blue raincoats. 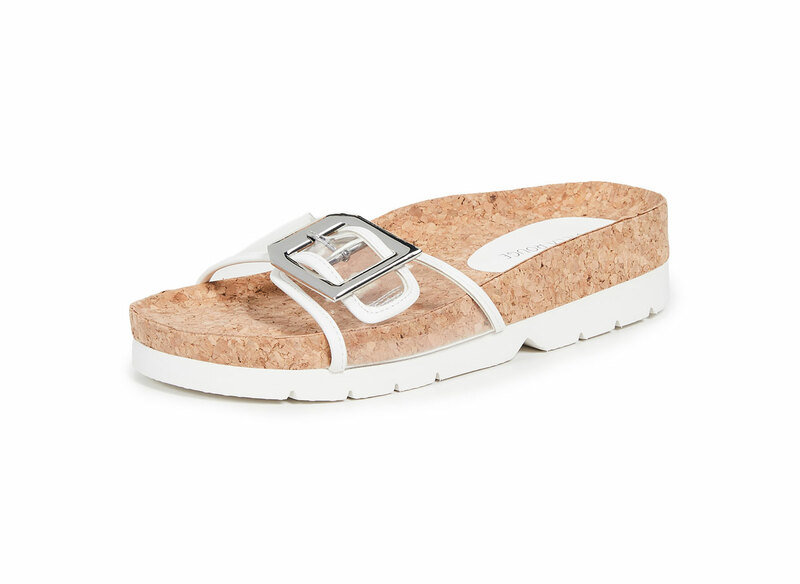 Slide into these cork and vinyl slip-ons to add a dose of cool to your poolside ensemble. Need an easy, no-fuss going out look? 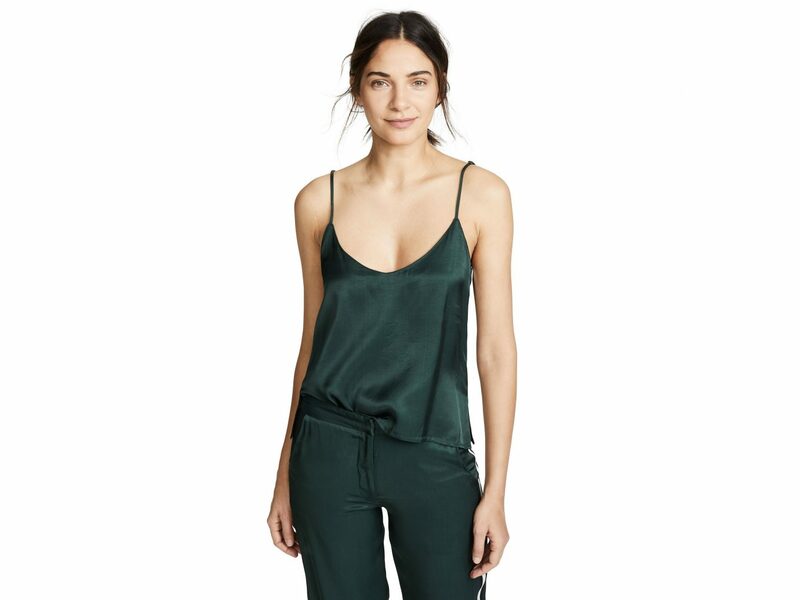 Just throw on this silky cami with your favorite jeans or the matching pants. 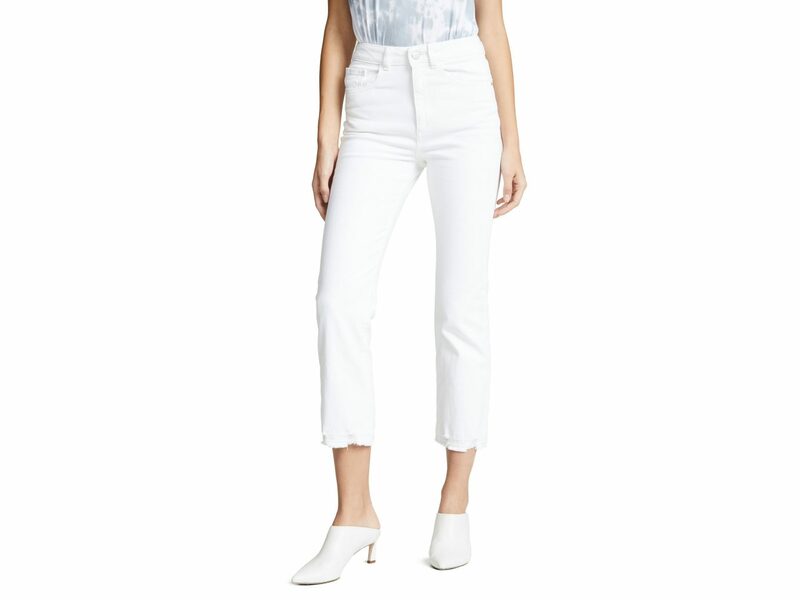 When it comes to cropped jeans, we love this pair from DL1961. The high rise and shredded hem give them a retro vintage feel. Want to really make a statement? 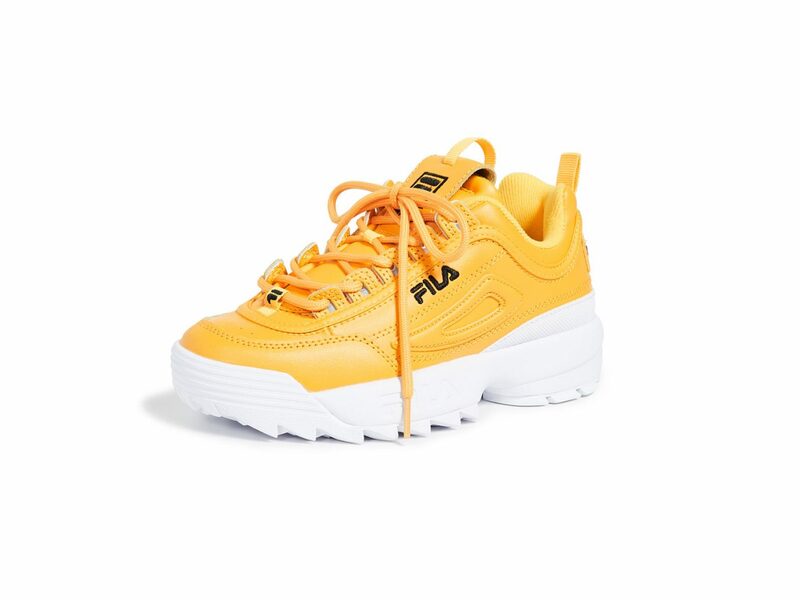 In the streetwear world, these gold sneaks are all the rage. 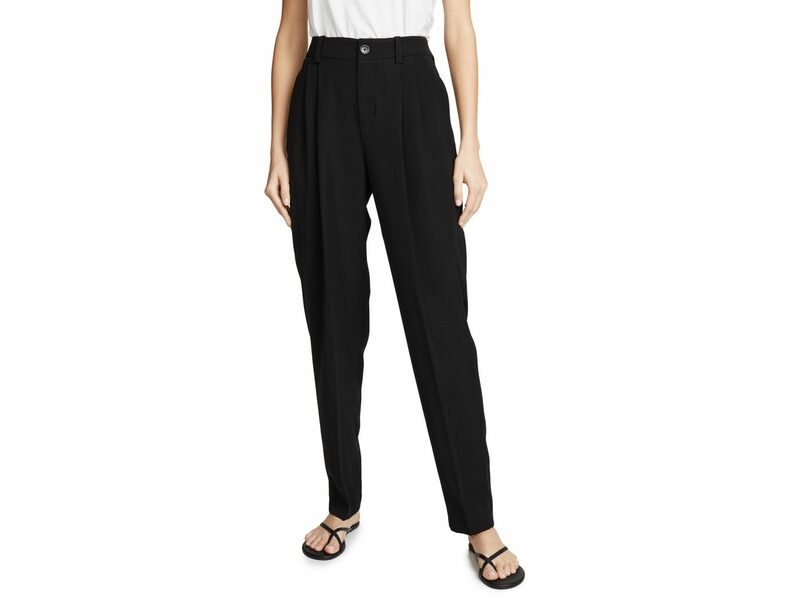 Add these tapered Vince pants to your work wardrobe, and you'll instantly look put together without even trying.